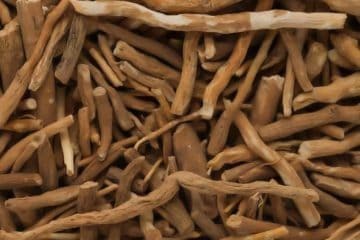 When it comes to nootropics (purported cognitive enhancers) this herb from Ayurveda is perhaps the most popular. 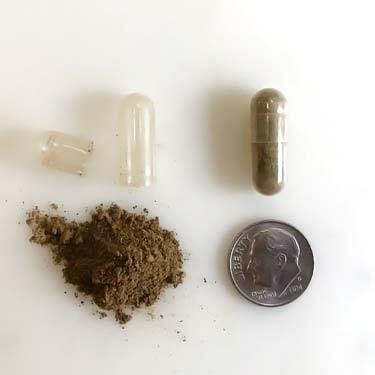 Sure, there are plenty of other nootropics like ashwagandha, magnesium threonate, and rhodiola rosea which have some compelling research about them. But almost none have the amount of research that Bacopa monnieri does. PubMed lists 18 clinical human trials for it, many of which are double-blinded and placebo controlled. From the elderly with senile dementia of Alzheimer’s type, to young children with symptoms of ADHD, the trial objectives are diverse (1) (2). The majority of those trials are just looking at mental performance among healthy individuals. None of the suspected benefits of bacopa are proven by government standards, but the preliminary findings remain intriguing nonetheless. This is what the plant looks like. When you expand your search in the PubMed database outside of the human trials, you get nearly 400 results. Many of them are animal studies. 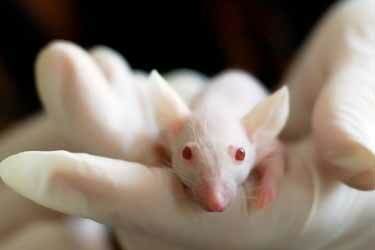 Like the 2017 published rat study about the herb extract reportedly improving sperm quality in adult male mice (3). Or measuring how it benefits advanced glycation end products (AGEs) and oxidative stress in diabetic mice (4). There is also a plethora of in vitro (think Petri dish) research that is exciting to read. Like it showing “anticancer potential” when tested against cultured MCF-7 and MDA-MB 231, which are two of the most common breast cancer cell lines used in research (5). They suspect the cucurbitacins and betulinic acid in it may be responsible for what they observed. 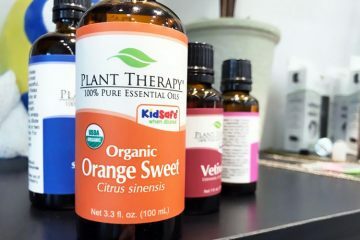 When it comes to antioxidants, the standardized extract has tested out as having an insanely high ORAC value of 169,800. That’s 20x what ashwagandha root measures out at, which is 8,487. You don’t hear about much about these other things. It could turn out that the purported advantages of mental enhancement are not even be the best thing about it! But not everything about this plant is good news. For some people, taking bacopa supplements may actually do more harm than good. Even in high dosages, the research does not suggest it’s toxic. To put that in perspective, it would be the equivalent of a 150 (68 kg) man taking 340,000 mg at once! Of course rodents are not humans, so you can’t compare the two as being analogous. But it’s still good to hear that such a high dose of bacopa “did not cause any serious undesirable effects” in the rats. Now that was just a single dose test. They also used lower dosages ranging from 30 to 1,500 mg/kg of body weight for 270 consecutive days. Not even that was said to produce any toxicity in the rats. No mutagenic activity of the herb’s standardized extract has been observed in research. That’s not something you can say about every “natural” product. The public is entirely oblivious to the mutagenic side effect of stevia. This list may sound scary – and it potentially is – but some of these are based off of very theoretical data sources. For example, WebMD lists most of those but when you examine their drop down list of references, you discover their most recent citation is 2002. Out of the 18 human clinical trials on PubMed, only 3 were published in 2002 or earlier, the other 15 come after. Most of WebMD references are for non-human data and some are quite old, dating back to 1960’s. They seriously need to do an update. In the human studies, the most common side effects seem to be upset stomach and diarrhea. Take the 2010 published Australian study as case in point. It was large (98 people) and when compared to placebo, they said bacopa “caused gastrointestinal tract side-effects of increased stool frequency, abdominal cramps, and nausea.” (7) Another with 62 participants noted diarrhea (8). If you’re isolating your adverse reactions to actual human data, these GI symptoms have the best support. As far as the heavy metals, no one else lists that as a side effect, but it seemed necessary to add that in here. 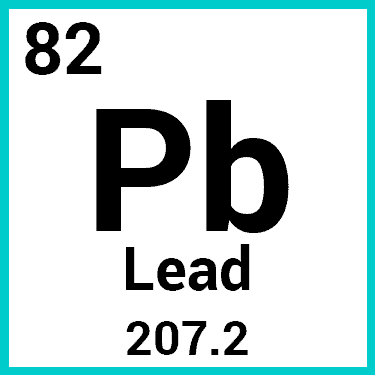 Research published in 2016 out of India tested 12 samples for lead, cadmium, chromium, nickel, and common pesticides (9). Fortunately those 12 all tested below the legal limits (for that country) but this is still a real risk with low quality supplements. Yes, there are a fair number of studies when compared to many other herbal extracts, but there isn’t nearly enough data to conclude bacopa is safe. Or at least safe for every scenario. Bacopa extract and pregnancy has never been studied. The same can be said about the vast majority of supplements and foods, but that doesn’t mean they should not be studied in that scenario. Pregnant women and those who are breastfeeding should avoid this supplement to be safe. Pregnancy risk is perhaps the most obvious example of an unknown. How about all those other reactions in the list above? Although not common, they all have at least some data to support their possibility. This extract has long been on my to-do list for personally reviewing. 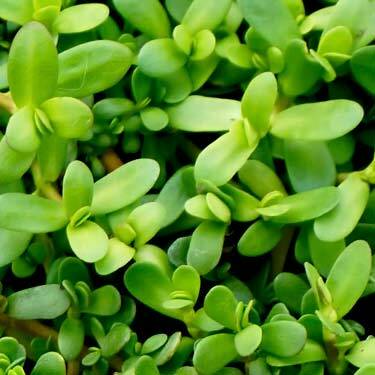 How long it takes bacopa to work and show maximum benefits is reported to be 8 to 12 weeks. It’s been difficult finding 2 to 3 months of consecutive normality in my schedule to do that recently (e.g. no supplement changes or recent surfing head injuries). That’s why I have held off so long on using it. Because if I’m going to do a review, I want to do it the right way. When not one, but two free bottles ended up on my doorstep, I decided it was worth reviewing even if the circumstances weren’t ideal. Because by the time they would be, these bottles would have probably expired! 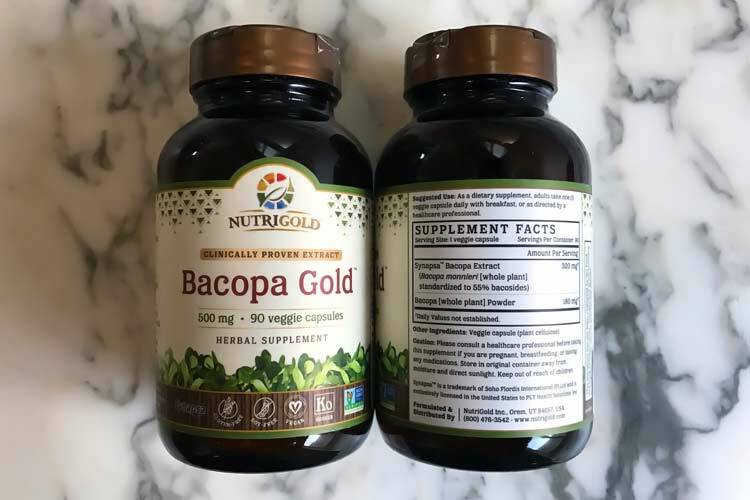 What happened was that for my Amazon order of this astaxanthin supplement, I was accidentally sent two bottles of bacopa from the same manufacturer (Nutrigold). They were nice enough to tell me to simply keep the wrong product, rather than hassle and send it back. I wonder if the fact that I buy practically everything on there had any influence on how that was handled? Even though the advantages are believed to be best over the long run, short term benefits are still notated in research, just not as profound. My goal was to start with 14 days of supplementation which coincided with international travel. That way I could evaluate the benefits when I would need them the most – during a 9 hour time change. That may sound like an abnormal circumstance, but being used to this, it actually offers a familiar baseline scenario. Each capsule of Nutrigold contains a 500 mg dosage of bacopa; 320 mg of standardized extract and 180 mg of whole plant powder. Nutrigold’s source for the extract portion (the 320 mg) is Synapsa, who along with BacoMind are two of the largest suppliers in the world. Each own patent for their extraction methods. It’s similar to how supplement companies don’t make ubiquinol CoQ10 and instead, buy it from Kaneka. The same thing goes on with bacopa; the best supplement brands often buy it from Synapsa or BacoMind. Should you take bacopa at night or day? These instructions say to take one v-cap per day with breakfast. 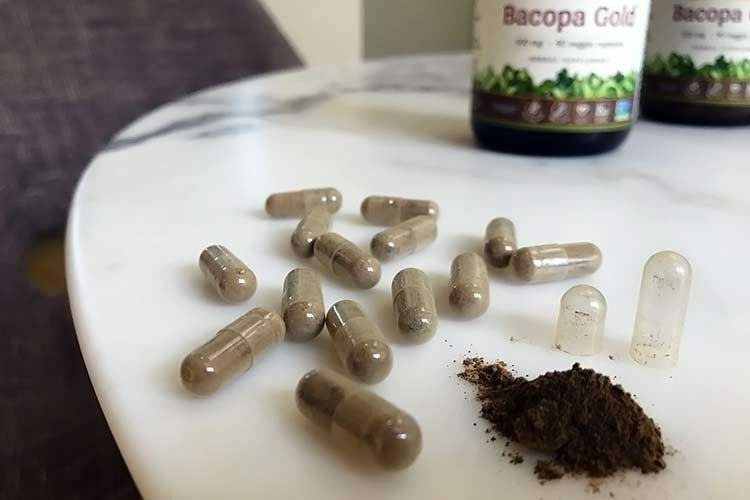 Some supplements are silent on telling you the best time of day to take it, but any brand worth their salt will say you need to take bacopa with a meal. The reason is because it’s fat soluble. 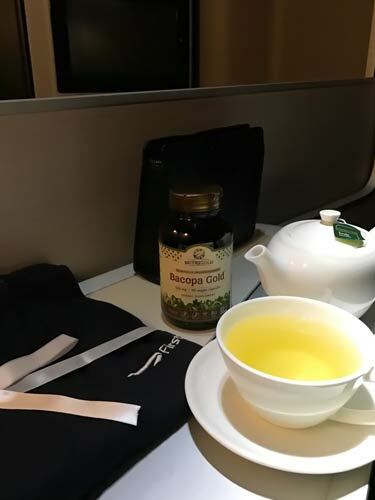 Following the dosage instructions, I started with one capsule during breakfast on the tail end of my flight from LA to London. There are around a dozen compounds which may be active ingredients in this plant, but research suggests the bacosides are the heavy hitters when it comes to the neurological effects. Each of these is a long conversation for another time, but the point is that measuring the half-life of bacopa is not easy since some of the active ingredients are actually created during digestion. The bacosides and other components do not all stay in the bloodstream for the same amount of time. Even though much of the focus is on bacosides A and B for benefits, who knows if one or more of the other dozen constituents might be responsible for adverse reactions in some? Just because they’re small in quantity, it doesn’t mean they’re small in effect. The problem is that quote is in reference to modafinil, a pharmaceutical drug. How long bacopa lasts in your system may be two days for some compounds (13). There’s really just too little data on blood serum levels after dosage to determine the half-life. Another reason why it’s premature to conclusively say bacopa is safe or good for you. Within 3 to 4 hours of my initial dosage, I felt extreme tiredness. This was not the normal jet lag of mental exhaustion, but rather extreme tiredness – as if you’re going to fall asleep and can’t control it. Like Benadryl, but much more severe. That might make sense if I needed sleep (I didn’t) or if I had experienced that before during overseas travel (I haven’t). This fatigue was not normal. British Airways has a good bed so I was sufficiently rested. Perhaps this was just a fluke, caused by something else? To play it safe though, I decided to skip the next dosage 24 hours later. By no means was I convinced the bacopa caused that side effect, but when you want to bring your A game, you’re just not going to take any chance, no matter how remote it may be. Without it, my morning workout overlooking the Zambezi river was excellent. There was no mental fatigue beyond the customary jet lag. The next time I took it, the exact same thing happened – extreme tiredness for no justifiable reason. Working out was a disaster and throughout the mid-day I was extremely drowsy. This type of experience is very unusual for me. No matter how little sleep I get during a given night, I can never nap during the day because I can’t shut my brain off. When bedtime rolls around, the same thing applies. Even if I had just 4 or 5 hours the night before, when I go to bed 18 or 20 hours afterward, I still have a difficult time falling asleep. Worldwide travel doesn’t change these. The point I’m trying to make is that my brain telling me it wants to clock out at 11 am in the morning is bizarre. Regardless of circumstances or travel schedule, it’s just not something that ever occurs. Although I was not convinced this adverse reaction was from the bacopa supplements, I didn’t want to gamble on this trip any further. I postponed further usage until getting back to California. On a normal morning at home, with a normal schedule, I took one capsule with my other supplements at breakfast. By late morning, I felt like I could fall asleep while standing up! The usual coffee alternatives had no offsetting benefit. By 3 to 4 pm, the extreme fatigue had mostly dissipated. The length of time that side effect lasted was similar to before. For memory boosting, it is believed that increasing the expression of the serotonin transporter (SERT) is a primary way how bacopa works. If true, that may also explain the purported anti-anxiety benefits. 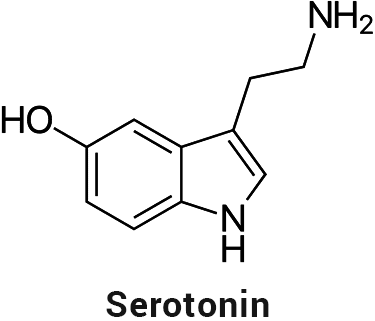 Aside from playing an important role in sleep regulation, higher serotonin correlates with lower feelings of stress (14). However, being de-stressed too much from it can also mean apathy, lethargy, and other traits which can actually make you a less productive person. When you’re too relaxed, you don’t care as much about stuff. You can also fall asleep at the drop of a hat. Some people seem to use this to their advantage. They report taking bacopa at night as a sleep aid, because it knocks them out. I would be foolish to believe my three bad experiences with bacopa are proof of this side effect. Where there’s smoke there’s not always fire, but there is at least a reasonable body of evidence – including from human trials – which suggest that for some people, the opposite is happening… extreme fatigue. In extreme cases, the adverse effect of being sleepy or drowsy could be quite dangerous if you are driving, using machinery, playing sports, or doing other activities where it could increase the chance of injuring yourself or others. This is Neuro-Peak. 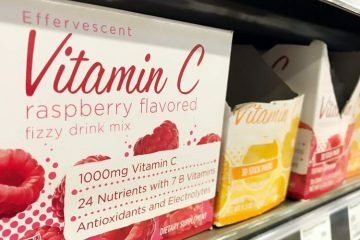 Note that its ingredients could change in the future, so please verify product details for current composition prior to buying. So should you try it or not? The good news is that it seems only a tiny sliver of the population experience sleepiness with acute usage of this herbal extract. Most likely, you won’t experience it. Still, it’s a possibility to be aware of. 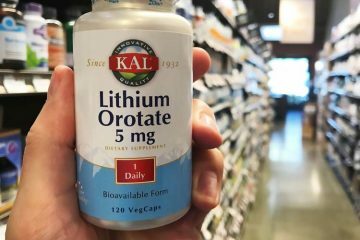 Rather than buy a Costco-sized bottle of this stuff, it would be a wise to start with a small quantity, to make sure you don’t experience anything negative. Despite my personal experience, I have no reason to give Nutrigold a negative rating. If what I experienced is related to bacopa, I don’t have any reason to believe it’s unique to their product or supplier. That being said, their bottle is a quantity of 90 capsules. Instead, it’s probably a better idea to start with a smaller bottle like this one from Doctor’s Best. 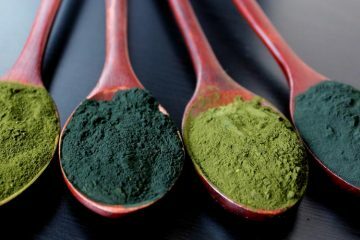 If you already know that you can handle this herb, then a combo supplement would be your best bet. Neuro-Peak is manufactured in the US and contains bacopa plus rhodiola rosea, ginkgo biloba, DMAE, and vitamin B12. Here it is on Amazon. The “purported” anti-anxiety benefits are the main reason why I take Bacopa Monnieri. I am struggling with one of the worst cancers and need to remain calm and able to think and act methodically to save my skin. I take it alternatively under two forms: an extract (neither from Synapsa, nor BacoMind) and the fresh herb which I grow at home in a small greenhouse in my backyard. Both give me exactly the same effects: mild anxiety control and a better brain (I am in my seventies and I want to remain alert). I take it for three months, then give it a month holiday. The positive effects do not disappear during the month without, but at the end of the month one feels that they start fading slightly off. I started with the extract to have a better control while I was making first contact with bacopa. I use an extract called Keenmind, which is very carefully produced (see keenmind.info/about-keenmind/seed-patient). Now that I grow the plant, I still have to take the extract at the end of winter when my plants do not produce sufficiently. I use the plant itself the rest of the year. There has been a very large amount of research on Bacopa Monnieri in recent years, including human clinical trials. Trial have taken place and continue to take place in the US, Canada and Australia. Many positive results are reported. For the Australian trials, using the Keenmind extract, do a search for “Con Stough bacopa” on the net. One side effect of Bacopa Monnieri which is never mentioned in sites like WebMD, but has been seen in vivo in rats is that it can slightly lower the blood pressure within one hour of being taken. I have measured this effect on myself. It is very slight. While lowering the blood pressure can usually be considered a plus when many people suffer from high blood pressure, if one’s blood pressure (in particular the diastolic pressure – the low reading) is already rather low in the morning, then with a slightly lower pressure due to bacopa one may get into the too low region where one feels tired or even dizy. If that is the case, I’d say give up on bacopa, at least early in the morning, and consult about your low morning blood pressure. As for the effects, in my experience they are real. When you start taking bacopa, the anxiety relieving effect is the first one you will notice, usually less than a week after starting. It’s nice, really nice, especially if you compare with the anxiolitics that are prescribed by mainstream medicine. 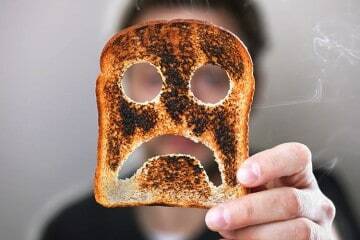 The improved neuronal connectivity, the memory improvements take much longer to kick in. They are in full flight after about two months. They are harder to perceive; it’s only by comparison, when you notice that you are no longer (or much less frequently) hunting for the correct word, or that you can easily tackle things that used to be a challenge that the reality that your brain has improved becomes tangible. I’d say that at this time when the population is aging, this plant and its extracts can be a savior. This is not just a “Bacopa” supplement according to the supplement facts. I’ve got nothing but good things to say about Bacopa and wonderful results. Use dried and/or fresh, great for anxiety or just chillin.. Was probably the other herbs in the mix causing the problems, try plain bacopa and different brands to see what works for you. I have used Bacopa in a Standard Process supplement and did not have side effects. I tried Doctors Best and the side effects were horrendous. I don’t know if Synapsa is a stimulant but OMG. I was tired beyond belief but couldn’t sleep. I was in a profound sweat all night. I didn’t think it was the Bacopa because I have taken Bacopa. The next day it was 10 X worse. I was afraid to drive and felt dizzy and tired like I hadn’t slept in days. Usually eating something will wake me up, If I’m just tired but no. I will go back to Standard Process. The solution is simple, I take this at night and it helps me sleep. I don’t mind being drowsy then. It ranks very high in ORAC and has sustained relaxation (non-drowsy effects). So the next day I’m not tired, just still enjoying the affect until my next night’s dose. I have used bacopa successfully two times once taking my my network engineering test and the second to get my general ham license. both times after about 35 days my mental acuity increase dramatically. Still taking doctors best, but after about three to 4 wks I personally found I was sleeping longer and felt demotivated on a basic task like washing up and finishing up tasks. The good news is I did not realise it was the bacopa and after approximately 2 weeks this has cleared. My short-term memory and retrieval of the right words at the right time seem to have jumped a gear. my longterm retrieval of memories is coming back e.g I buried a spare set of keys outside over a year ago, recently had a friend to stay and thought I had left them in a draw; we were walking down the road and mention this to him suddenly I could clearly remember and visualise the act of hiding the keys. I am 56 years young and nearly four years into my recovery from alcoholism and cocaine use. my use, in the end, was chronic and was on death door several times. the effect this had on my memory and nerves I thought would never be undone. let me make this clear there is no one magic bullet bacopa is only one of many strategies I tried in recovery, the main one for me is Zhang Zhuang as I was a physical wreck. osteoarthritis I have had a hip replacement. painful joints all of them. suffer from panic attacks and anxiety. was having injections in my back. the spinal specialist said there was a good chance I would be in a wheelchair within ten years. I have been practising Zhang Zhung pre-hip op in may 2014 to the present day and occasionally miss a day here and there; I practice up to an hour a day. I don’t have injections or take any painkillers. I have perfect balance and can stand on either leg for 3 minutes I can walk slowly or reasonably quickly. I have gone back to study and I have been struggling as I have suspected form of dyslexia and studying causes me anxiety related to school days. I find it bloody hard work and very tiring it seems to take me forever. I started using citicoline about a year ago and has helped brighten my mind but not had an effect on anything specific. I also take quite a range of other supplements amino acids NAC, ALCAR, 5htp, and boron vitamin C, B, B6, D, E, k2. My short-term memory was shot e.g I would keep asking peoples names over and over and getting names muddle up, forgetting to do the important thing in the day, misplacing the very list I needed. Bacopa seems to be the missing link I been reading about neural pathways and the damage alcohol does to the brain. Bacopa seems to be an adaptogen for the brain and has remarkable healing properties and helps with addiction recovery. I noticed also my panic and anxiety attacks are not as serve and less, my mood swings are more balanced and I recover quicker from long bouts of studying seem able to stay on task longer and not get over excited as this leads me to a monkey brain. in summing up the tiredness last for a couple of weeks it seems to be an adjustment period as the standardised bacosides in doctors best are of good quality 176mg in one capsule. I take mine on an empty stomach along with my coffee; I still smoke hence the NAC 2x 600 mg and Vitamin C 3 grams a day; hey ho nobody perfect I been taking Bacopa for about 6 wks going to wait to 12 wks and go for total nicotine abstinence ; I am an alcoholic it all or nothing with me and I am impatient, arrogant, and opinionate or I am poor me, I can’t do this and I want to hide, there a term we use in recovery emotional sobriety and it seems this is directly connected to the damage we inflicted on our brains, Bacopa may just be a panacia for recovering alcoholics to help with this healing process you could say a missing magic bullet as the mood swings we suffer with for years could be shorten to months it seems to have a neutralising and healing effect. Hope my rambles have helped someone. Thanks for sharing you story. I’m on day 2 of Bacopa. I have just started taking Bacopa. I read on another site that Bacopa would increase hyperthyroid 41%: I can find nothing else to support this claim. Taking Bacopa I became so sleepy that I could not keep my eyes open and it also made me jittery. I have only taken two dosages so I will continue to take for awhile to see if these symptoms will improve. I am taking the brand Plnt, Organic Bocopa 300mg, and Bicopa Herb Extract 100mg (20%Bacosides A & B). I really appreciated the feedback that was listed by each of you. I tried Bacopa (375mg by Absorb Health) a few times last year and decided to give it another shot today. The exact same thing happened: about 3 hours after ingestion I was passed out on the couch in the middle of the day. I’ve had a similar effect with doses of SSRIs that were too high for me. Think the dosage might be too high…. Swanson’s makes a 50 mg. Bacopa and that might be a good starting point, increasing perhaps as you adjust. Just my thought… with everything sometimes starting low and slow is better but 500 mg. is a bit much to start with. 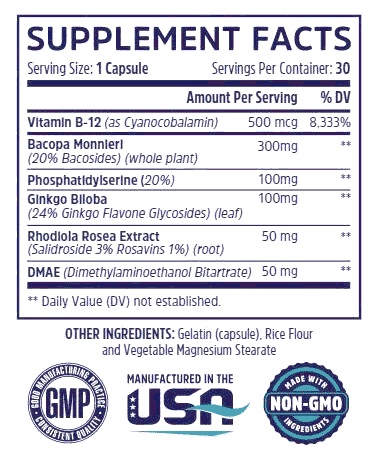 I’ve mostly used Swanson’s 250mg bacopa monnieri and it seems good to me. I recommend bacopa. I take one every other night, late. But I don’t know that it makes me sleepy (think not) and I alternate it with taurine 500mg. I tend to be highly sensitive to medicines and supplements. This sound certainly like am effect related to cortisol levels! Cortisol is produced in the mornings and throughout the day to help stay awake. If you’re a high activity person you are likely producing a good amount for the exercise routine, etc. That’d help account for the results reported from a comment from a person suffering cancer, largely positive- cortisol goes through the roof during illness. Cortisol is part of the thyroid/kidney balance however, so I’d be careful if there is thyroid-depressing activity- especially if the herb has an affinity for fluoride or bromide (carrying heavier levels of it).